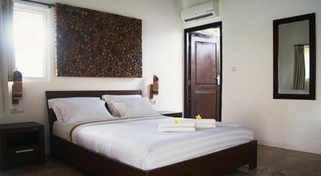 This air-conditioned double room comes with a big, comfortable bed, wardrobe, seating area, and flat-screen cable TV. 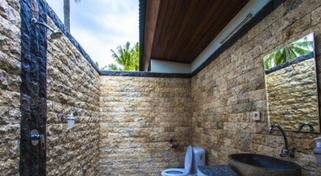 The en-suite bathroom features shower facilities and free toiletries. 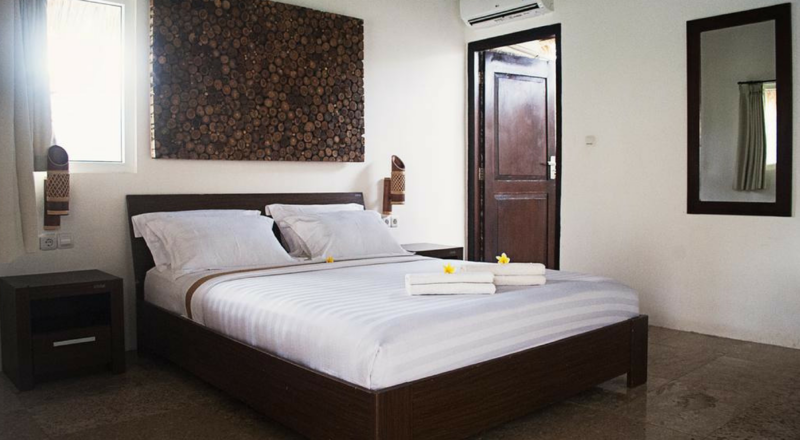 The air-conditioned rooms at Grand Sunset Gili Air are all beautifully appointed with comfortable beds, a wardrobe, a seating area with a desk, and a flat-screen cable TV. Each room also comes with an en-suite bathroom, featuring shower facilities and free toiletries. Fresh towels and linen are provided in the room. This air-conditioned double room comes with a big, comfortable bed and an en-suite bathroom. 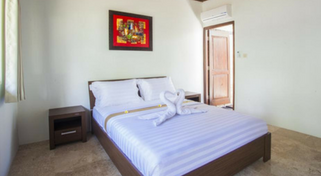 This air-conditioned double room comes with a big, comfortable bed and outside shower.